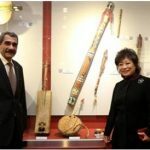 The Ambassador of Algeria to Korea donates a “Guembri » and an « Imzad” to Seongnam Cultural Foundation. 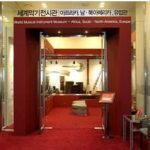 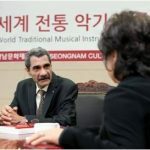 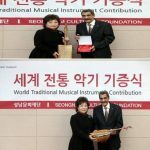 As a part of strengthening the cultural cooperation between Algeria and the Republic of Korea, the Ambassador of Algeria to Korea H.E.M Mohammed El Amine Derragui has donated two Algerian traditional music instruments: « The Guembri » and « The Imzad » to the « world Musical Instruments Museum » affiliated to « Seongnam Cultural Foundation ». 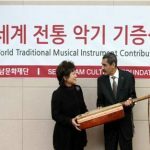 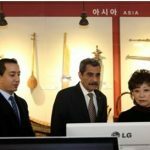 The ceremony of the reception of the two instruments took place on December 16th, 2015 in the Presence of Mme JUNG Eun-sook, the President of « Seongnam Cultural Foundation ». 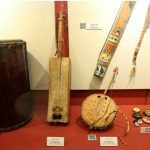 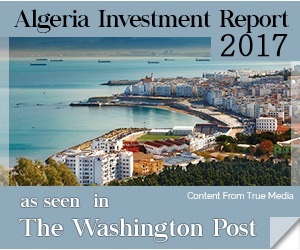 The Ambassador had a provided a “technical presentation” of the two instruments explaining their centuries-long history, their cultural specificities and also the efforts made to preserve the “Touareg’s” musical heritage.